We’ve become so attached to our need to stay in touch, having wi-fi is now a standard requirement when we travel. In an earlier piece, we wrote about different ways to roam and save as we travel, but we’ve now moved up a step. Or two or three. Now many places offer free wi-fi, which is handy if you really don’t want to have to pay to stay connected. However, many of the ‘rules’ still apply. Remember that free public wifi is just that – public. Don’t use if you do sensitive business like banking transactions. This applies equally to free city wifi as it does to that offered by businesses. It may also be time restricted. For example, in Kyoto and many other cities, you’re limited to an hour at a time. So, if you want a secure wi-fi connection that’s always available when you’re on the move, you need to check out the new options available. Basically, there are three methods we’ve found that are currently popular. If you’re only travelling for a few days, or if it’s important that you keep your own number available, check out your current provider’s International Roaming cost. Some providers stubbornly charge extortionate rates that make anything more than a few days very expensive. Try calling them directly before you leave to see if they offer special rates. Other providers e.g. Vodafone Australia, offer AU$5 per day roaming, which can be turned on or off as needed. Can it be turned on and off to use it when needed? Is timing based on a calendar day or block of time (24hrs)? Is the time calculated based on ‘at home’ or ‘overseas’ time? A number of services exist where you can purchase an overseas SIM before you leave your home country. However, there are usually booths available at International airports where you can easily purchase what you need. Have your passport handy as this is usually required for registration. Is there a ‘flag-fall charge’ for every call made plus timed charges? Do I have to pay for calls/messages received? Can you get a calls & data plan? Know your requirement before you buy? If you visit this country regularly, can you keep the number on a 365 day plan (or other)? Can you top up online? This uses an ultra-thin microchip that is attached to your existing SIM Card. You’ll need to download the provider’s app to make it work. 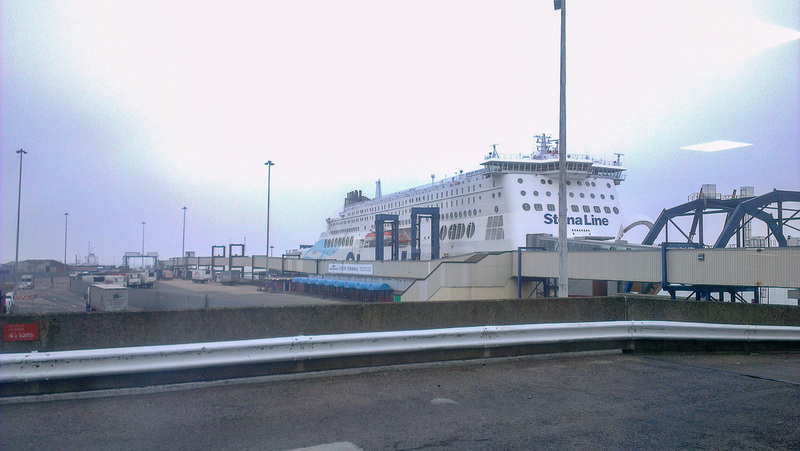 The microchip gives access to data roaming while you’re travelling by connecting you to local networks. It’s an easy one-time application that you can leave in place between trips. It’s turned on and off as you need. The biggest advantage we see is that you can stay connected overseas without switching SIMs each time you travel. The downside is that you can’t make calls using your home number when the app is turned on. 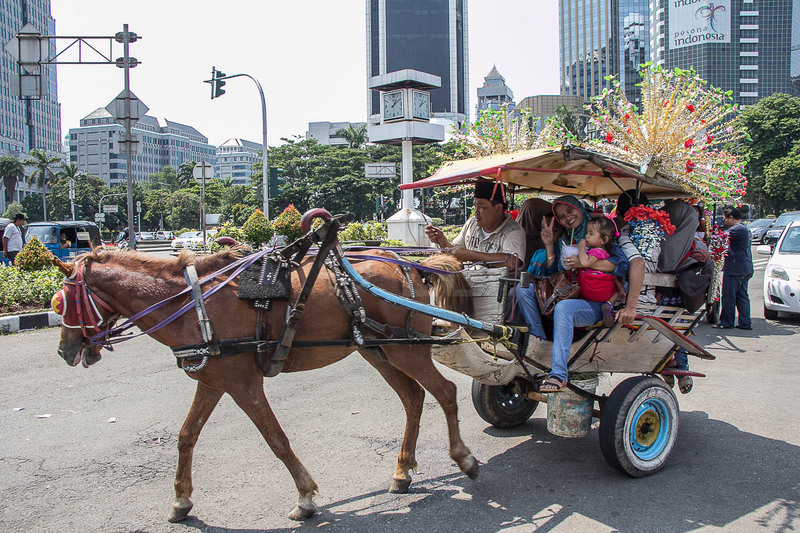 Although you can probably find something similar in your home country, we found Flexiroam, offering connectivity in 120 countries. You can purchase according you your needs, with plans available for various time periods up to 360 days. The company is based in Malaysia, but ships to a range of countries, with support available by phone, email and WhatsApp. 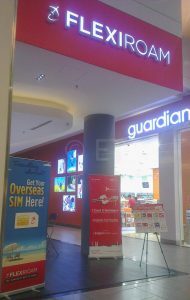 You will find a Flexiroam shop in klia2 at Kuala Lumpur International Airport. A portable wi-fi device lets you set up your own private internet connection, almost anywhere in the world. You can connect multiple devices simultaneously, including phones, laptops, tablets and iPads, games consoles and cameras. The device uses a SIM card to provide the internet to wireless connection. Without the SIM, you can only communicate with other connected devices internally, as an internal network. You will need an International SIM installed in the device to move between different countries. If you’re lucky, your accommodation may extend you free wi-fi by providing a portable hotspot you can take out with you. You have two options – purchase or rent. Netgear is one provider of portable hotspot devices. Buy your own and set it up with a local provider, or check out a device that comes with a plan. Depending on your location, you may already have a device and plan that lets you carry your device as you travel. Verizon is one such provider in the US. Another good option for travellers is Bitebird. It’s priced in Euro and can be used in over 130 countries. Different wi-fi bundles are available, depending on your requirements and they will send it to you worldwide. We’ve only got a selection of Malaysian devices listed here, but check out local availability in your country of residence. Once you find one you like, they will probably let you book online and collect at the airport, or send it to you. We have not tried any of the ones listed here. Roaming Man gives you a choice of renting or purchase. Various 4G Wifi plans are available for each option and the device can be connected with up to 5 devices simultaneously. You’ll keep your own SIM card in your phone and don’t forget to turn international roaming OFF. Check their FAQ page for more information. Malaysian residents can rent a Samuri Pocket Wifi to take along when travelling to over 100 countries. The Samurai is only available for Malaysian residents, they don’t send overseas. You can pick up at KLIA/klia2 and drop it off when you arrive back at the airport. They also deliver, but only in Peninsula Malaysia. (courier charges apply). For more information, check out their “Getting Your Pocket WiFi” page. We did notice they have lots of positive reviews on Facebook. 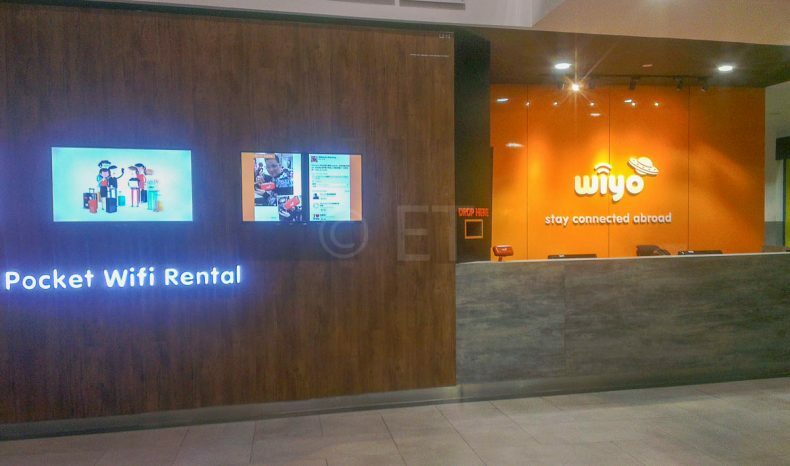 When you’re walking through Level 2 [email protected], you’ll pass by the Wiyo at klia2 near KLIA Ekspres..
On offer – 4G WiFi in (currently) 27 countries at reasonable rates. The Rates page also has the answers to some questions, but you might like to ask more before you put your money down. If you’re visiting more than one destination, you’ll need one device for each, with deposits for each. The WIYO WiFi simultaneously supports 5 to10 WiFi-enabled devices. They’ll also rent you a power bank for the duration of your trip. You can also pick up your device at Domestic Departure / Arrival (Airside), Penang International Airport. Going to Japan? Pick up a Klook before you go for unlimited WiFi access across Japan. You’ll get 4G for the first 3Gb, after that it drops to 3G. They have a large variety of currencies available for payment options. Can be shared with up to 5 devices. KLIA International Departure Hall Level 5 (near Secret Recipe). klia2 International Departure Hall Level 3, Check-in counter Row Y near the International Departure entrance. Disclaimer: Please note that mention of products and services here does not imply endorsement by Economy Traveller.